Imagine for a moment that, for example, you have a MacBook, you work for an international company and you often write to clients in another language. Imagine the possibility of a "mutant" keyboard . Science fiction? For not too long. Apple has something in hand and never better said. It has partnered with an Australian startup to turn the traditional keyboard into something completely new. 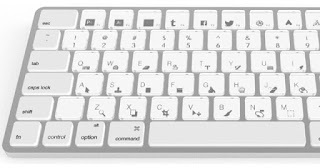 New keyboards will be a standard feature in MacBook laptops, and could display any alphabet , along with an unlimited number of special commands and emojis. This invention could be preparing to be launched in the next year 2018. The technology of this magical keyboard has been developed by Sonder Design , and the keyboards will use the so-called electronic ink screens , very similar to those of some Kindle devices. Apple CEO Tim Cook had a meeting on this issue last October 11 with the executives of Foxconn and Sonder in China, and it seems that the Cupertino company is planning to acquire the latter , although nothing is yet materialized . 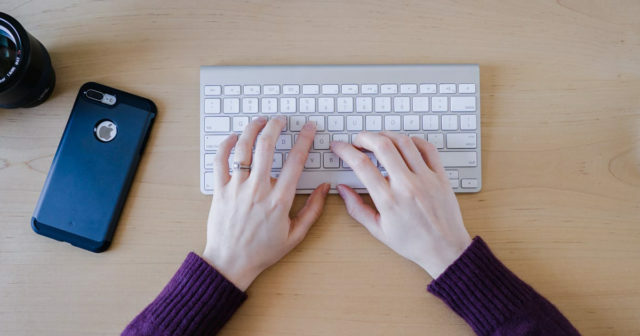 Although the keyboard of Apple would be a standard feature, the possibility of having a keyboard that can change language automatically , is a dream. Also replacing some keys by emojis so fashionable would delight the youngest, and be able to make use of special commands, would make graphic designers and advanced users could work more comfortably. Foxconn hopes that the project can move forward and supply the key components to carry it out, as well as assembling these devices . As we can see, there is cake for everyone and probably many consumers willing to pay for having this technology in their devices. There is still no reference to the price that this "magic keyboard" technology could have, although the advantages that it would bring are multiple for a large number of users.